Wedding season has finally commenced and the exciting decision of what colour theme you want in your wedding prevails. 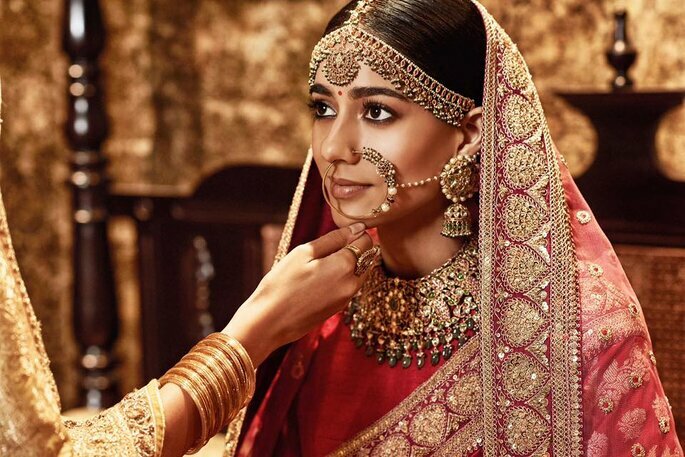 Alongside selecting your lengha – check out Sabyasachi Mukherjee, jewelry – check out Kishandas and Co, Makeup Artist – check out Namrata Soni, your colour scheme for your wedding décor is also a wedding essential! Whilst some may find colour scheming a daunting task, it can be very fun in that it portrays tradition, culture and personality. Besides the joy of having guests join you on your day, weddings are a personal experience for the couple and the family, so you want a colour scheme that you will remember. So, without further ado, let’s get straight into these 6 tips we have for you on how to choose colours for your wedding décor. Firstly, and probably the most obvious one to consider is to ensure the colour scheme coincides with your outfit. For example traditional Indian wear is a red and gold lengha, therefore opt for colours that compliment your outfit. Now we all know that outfit colours differ depending on ones’ culture and tradition, so one word of advice would definitely be to embrace your tradition! 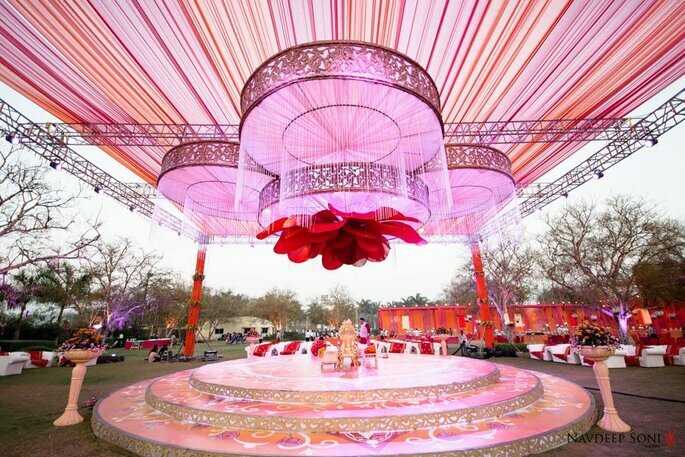 Indian weddings are famed for their extravagant celebrations across all regions of India. 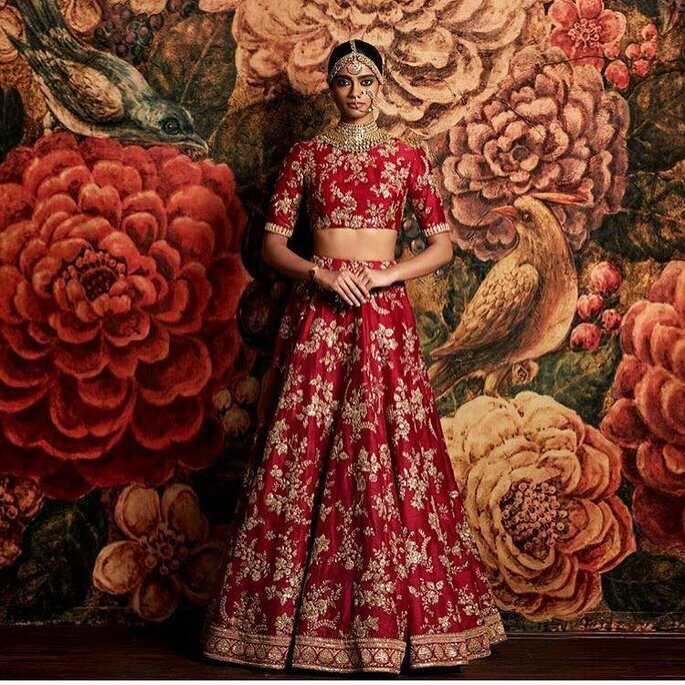 Whilst red and gold are colours sported across North India, places such as South India at a Kerala wedding you will find the bride traditionally sporting a white saree; therefore take some inspiration from your outfit colour, experiment and go wild. Secondly, consider your own personal preference – select colours that appeal to you, that reflect you as a person. Indulge in uniqueness, this is your wedding, the special big day you’ve dreamt of since you were a child, make it as magnificent and grand as you want, perhaps taking inspiration from your favourite Star Plus drama. Who doesn’t want a fairy-tale experience after all? Thirdly, consider the season and weather you are getting married in, if in summer, then there’s often blistering heart, therefore consider bright colours. You’ve all heard it: the brighter the better! You want to embrace the scorching temperature not dull it down. Temperature variations aside, weddings have a mandatory requirement to reflect the culture, and Indian culture speaks liveliness – Don’t be afraid of bold, vibrant colours, that’s the beauty of an Indian wedding, make it as extravagant as you want! However something to be aware of is the fact that colours tend to reflect mood, for example black within the Indian culture is considered inauspicious, therefore to go ahead and use black as your wedding décor may be misinterpreted, now of course we wouldn’t want that. 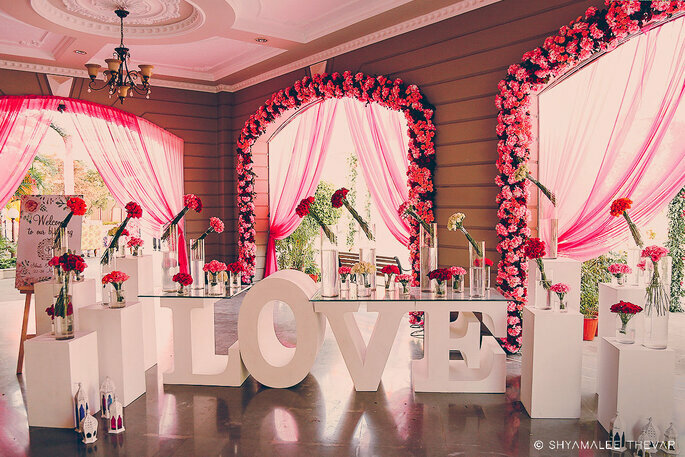 Weddings are a happy, joyous occasion therefore consider colours that reflect a fun mood. Essentially, ladies there is no right or wrong answer, the world is your oyster, the colour palette is your inspiration. Fourthly, feel inspired. Consider current bridal fashion trends and use them for fashion inspiration. There are always certain colour schemes and wedding décor trending at different points throughout the year. Maybe ones of these trends could be exactly what you are looking for. For such a memorable occasion leave no leaf unturned, look at the Asiana magazine, attend wedding shows, and even look at Bollywood trends. At times like this Google is your best friend. Within seconds you can start exploring sites such as Pinterest and Instagram. Everyone has their own style so be sure to flaunt yours and add a touch of it onto any current trends to perhaps create your own. Fifth point, traditional Indian weddings include a range of other pre wedding ceremonies like Mehendi, Sangeet and Haldi. Therefore the colour of your wedding décor can depend on the event, with the many ceremonies leading up to the wedding day you can decide to have several different colours for your wedding decor or one reoccurring colour scheme throughout. Contact Navdeep Soni for the amazing photography of this venue. Let’s end on an alternative solution for all you brides to be. If you want to be less traditional try exploring the world of pastel colours or even westernise the colour scheme. Even if this is slightly out of your comfort zone, give it a go and you may be surprised by what you find. So Ladies, I hope these tips have helped in your selection of colours for your wedding décor, and I hope you have an amazing wedding, you will without a shadow of a doubt shine bright like a diamond! So, forget about the regular décor themes and brace yourself for these uncanny, inspirational ideas. Brides are the special one's and the place should look amazing where they sit.